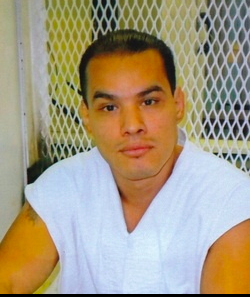 Pablo Lucio Vasquez was executed by the state of Texas on Wednesday, April 6, 2016. Pablo was pronounced dead at 6:35 pm CDT, inside the Walls Unit execution chamber at the Huntsville State Penitentiary in Huntsville, Texas. Pablo was 38 years of age. He was convicted of the murder of 12-year-old David Cardenas on April 17 or 18, 1998, in Donna, Texas. Pablo spent the last 17 years on death row in Texas. Pablo dropped out of school after completing the 8th grade. He had no prior prison record. On the evening of April 17, 1998, Pablo Vasquez and his 15-year-old cousin Andy Chapa, attended a party at which David Cardenas was also present. After the party, Chapa and Vasquez took David. They struck him with a metal pipe, slashed his neck, and drank the boy’s blood. Vasquez and Chapa then attempted to bury him. David, who was assumed to be relatives for the weekend, was not reported missing until April 20. His body was found two days later. He had been scalped, was missing one of his arms and part of another, and had no skin on his back. His body had also been mutilated after death. Additionally, David had been robbed. Police quickly detained Vasquez and questioned him. Vazquez admitted to hitting the boy, cutting his throat, and drinking his blood, along with dragging his body through a field and burying him. Chapa later testified that Vasquez killed the boy because David did not “give him what he wanted.” During his trial, Vasquez claimed that the “devil” and other voices made him do it. Vasquez was convicted of David’s murder and sentenced to death. Chapa was sentenced to 35 years in prison after pleading guilty. Three others were convicted of helping to cover-up the murder, resulting in 10 years probation, a fine, and restitution to David’s family. Please pray for peace and healing for the family of David Cardenas. Please pray for strength for the family of Pablo Vasquez.